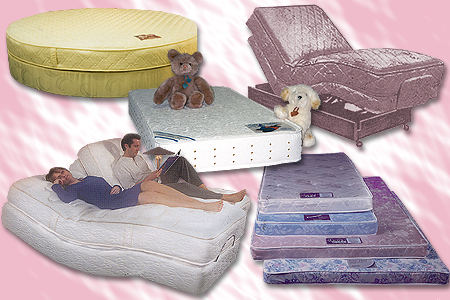 Residential Bedding and Mattresses from Sleepcare, Inc. Residential Bedding & Mattresses from Sleepcare, Inc.: Premium Quality, Luxuriously Quilted including custom size bedding & antique bed mattresses; electric adjustable beds and replacement mattresses; juvenile bedding: crib & youth bed mattresses; Nordicor�; residential bedding, round mattress sets as well as sofa bed replacement mattresses. Custom Sizes & Antique Bed Mattresses: Can't find a manufacturer to make you a mattress and foundation to fit your antique bed.....or solve a space problem? Don't look any further. Sleepcare will custom manufacture the size you need at a surprisingly affordable price. Call today to discuss your needs with Sleepcare's mattress construction specialists.